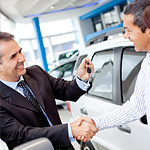 When you trade-in a vehicle, you are going to get a lower rate and save money on your payments too. The drawback, however, is that you will be paying more in the end if you are currently upside-down in that loan. When you owe a ton on that car, all those future payments have to be rolled into your new loan. If you are considering financing your vehicle through Blue Knob Auto Sales, call us today for assistance.